Having this certification to your credit portrays a sense of commitment to the security profession and shows potential employers that you have a strong knowledge base to excel in this domain. So if you're considering a certification, read on – we've answered a few questions that you might have. Certified Information Systems Security Professional (CISSP) is a globally recognized certification in the field of information security, which is governed by the International Information Systems Security Certification Consortium, commonly known as (ISC) ².
CISSP has become a standard of achievement that is acknowledged worldwide. The exam is highly challenging, and requires a broad level of knowledge. Moreover, achieving it requires help, irrespective of your experience level. How do I choose the right CISSP Training Course? This is one of the most important decisions to make. Successfully passing any exam largely depends on how well your study material matches your learning style and schedule. The most important factor, of course, is the quality of training and the relevance of the course content. You need to ensure that you sign up for training that equips you with the best practices in the industry and helps you to ace the exam in your first attempt. To help you with that, Simplilearn presents CISSP certification training course where a team of experts will walk you through the skills and concepts you need to master CISSP. We've interacted with plenty of CISSP professionals who have successfully completed the certification, as well as with current aspirants, and have understood that professionals might need to attend multiple training sessions to pass the exam. The solution to this would be the "CISSP Online Classroom Flexi-Pass" that Simplilearn offers. The offering provides access to online self-learning videos for 180 days, along with unlimited access to multiple training batches conducted by industry experts across the globe – for 90 days at the cost of one batch. 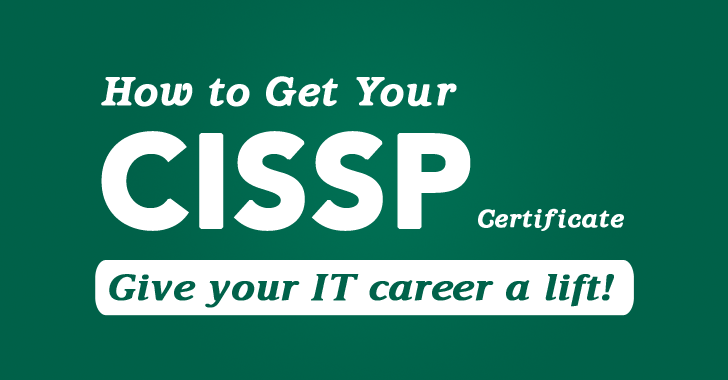 CISSP is all about achieving perfection in design, engineering, implementation and managing of information security programs in an organization. The course is comprehensively designed in-line with the ISC2 Common Book of Knowledge, 2015. The quizzes and simulation exams ensure you get enough practice and preparation for the final certification exam. All the 8 domains are provided with business scenarios for the participants to understand the real-life application. Aspects such as Security and Risk Management and Security Engineering, which cover around 35% of the exam, are discussed in detail with end-of-chapter quizzes. So if you're looking to build a strong career in Information Security, a CISSP certification is a must. Get yourself up to date with the latest trends, and give your career that much-needed boost. So what are you waiting for? Sign up for the course and get certified!